“A courtyard, to me, is the best thing in life,” architect David Stocker said. “It’s an intimate space. 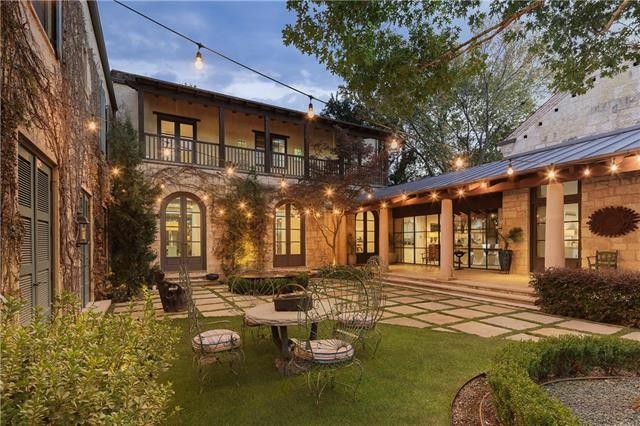 It’s not quite inside the house, but it’s part of the house.” The culture of the courtyard is what inspired Stocker to design this luxurious Santa Barbara estate in Preston Hollow for Jane and Mike Nicolais. Courtyards have been around since dwellings began. They are found in every corner of the world, and there’s a reason for their popularity. They provide the things we want most: security, privacy, light, air, and tranquility. “A big house can be thought of as a village with connecting pieces,” Stocker, principal of SHM Architects, said. 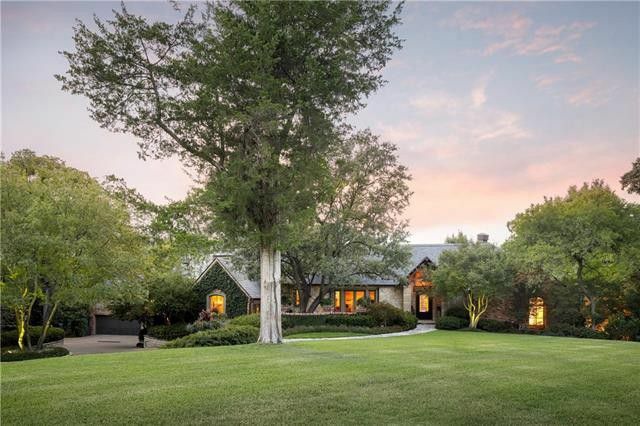 This Santa Barbara estate, at 9946 Rockbrook Drive, is 7,722 square feet with four bedrooms, four bathrooms, and two powder baths. It’s easy to see the analogy. Award-winning builders Manning, Snelling & Mcllyar worked with Stocker to bring this village to life in 2001 when Stocker was at Turner, Boaz and Stocker. We see a lot of homes here at CandysDirt.com — in fact, I sometimes think we have seen every home in North Texas and then some! We love historic homes especially, too, but we are prissy about wanting everything brand spanking new inside. And to be honest, the two do not often mix. We see these gorgeous relics — Tudors, Colonials, Prairie-style — and then we get all excited, walk in, and the innards are just not up to the innards of a brand-new build. But then I saw 6629 Gaston. When you can score an award-winning home, constructed by one of the best builders in Texas, move fast. Our Monday Morning Millionaire is a gorgeous Bluffview soft contemporary that was built by Phillip-Jennings. It’s also Phillip Fristoe’s (the Phillip in Phillip-Jennings) home. Remember how often I tell you that homes owned by a builder, architect, or designer are deal sealers? It’s that time of the year, when brokerages are toasting, and praising, those hard-working top producers who killed it in 2018, selling millions of dollars of dirt during a year that, while not one of the toughest on record, saw a significant market contraction and rising interest rates. Celebratory events have been happening across town, at every major brokerage. 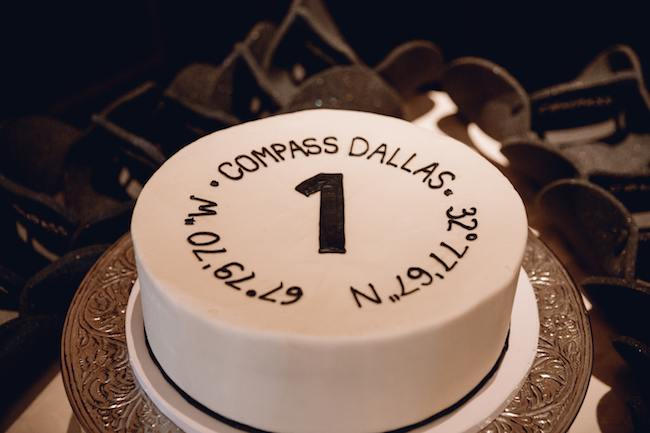 At Compass Dallas, a different kind of celebration has been going on: the company’s one-year anniversary in Dallas. 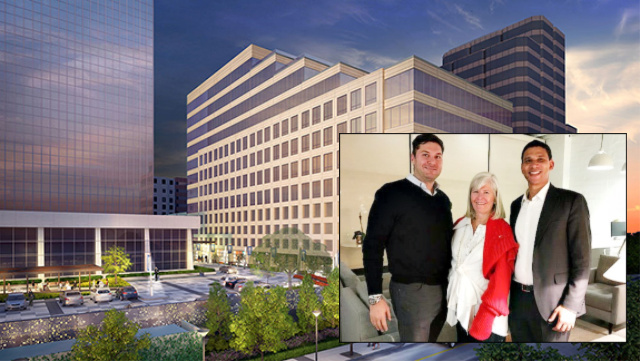 On January 19, 2019, the 24,000 square foot, shiny new Preston Center office was loaded with food, drink, cake, chair massages and more. Last year, on January 19, 2018, Compass launched its 11th brokerage in the U.S. in Dallas, disrupting nearly every established broker in North Texas. Compass came in as a tech company, its internally-designed platform front and center for agents to make their lives easier, their sales bigger, their futures more secure. The firm’s CEO aims to have 20 percent market share in the top 20 U.S. real estate markets by 2020. Two famous architects, decades apart, have created an idyllic reinvented Colonial Revival home that oozes charm from every corner. Originally built by Hal Thomson in 1921, 3926 Potomac Avenue in Highland Park is one of the most beautiful homes I’ve ever seen. 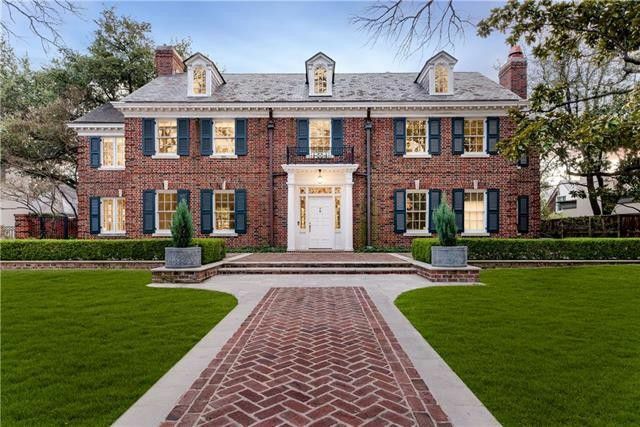 As the go-to architect of the era, Hal Thomson built many significant homes in Dallas. He was a master of every style, from Spanish Eclectic and Italianate to, of course, Colonial Revival. Of all the Thomson designs I’ve had the pleasure to write about, this is my favorite. It is such a classic fairytale of a home that it appears purpose-built for a movie. If you look up the location used for the original Father of the Bride, it shares a lot of the same romantic ambiance and incredible detailing. As the years pass, any historic home needs a refresh. Sometimes the respect for original architecture takes a back seat when owners have specific needs. 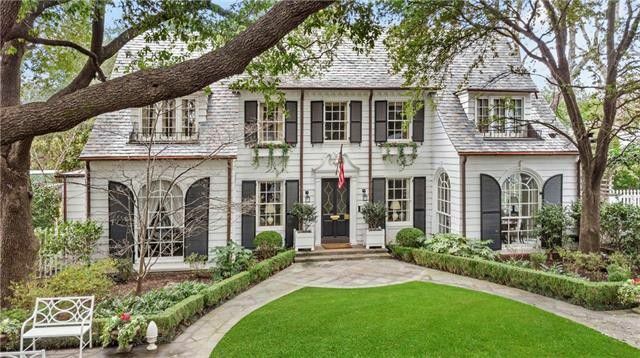 When the current owner purchased this idyllic reinvented Colonial Revival, there was a singular focus on not just bringing it back to its former glory days, but also on renovating it into a family home that children would love. 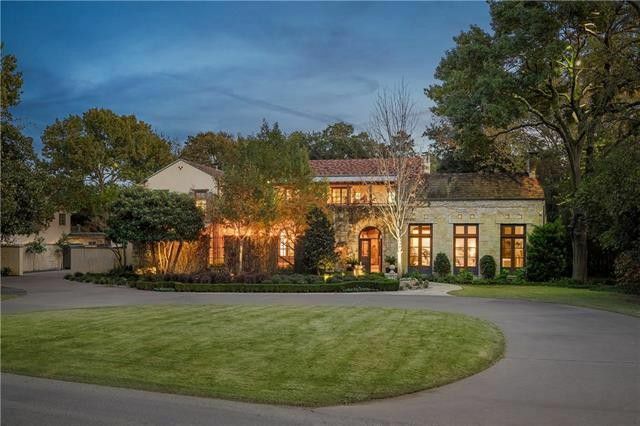 Enter J. Wilson Fuqua, one of the leading architects in Dallas. 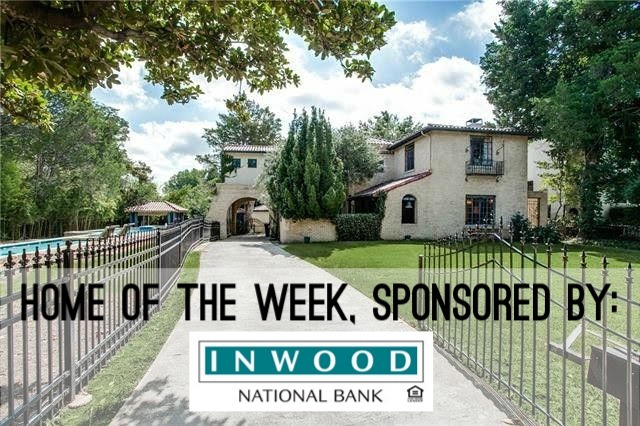 Our Monday Morning Millionaire is a grand, 1928 historic Highland Park Georgian mansion designed by Hal Thomson. It’s getting harder and harder to find a historic home in Dallas that has avoided the bulldozer. People are so quick to tear down without thinking through why a house is still standing almost a century later. It takes a sophisticated buyer to understand what provenance brings to the party and to realize you can no longer afford to build homes like 4209 Lorraine Avenue. 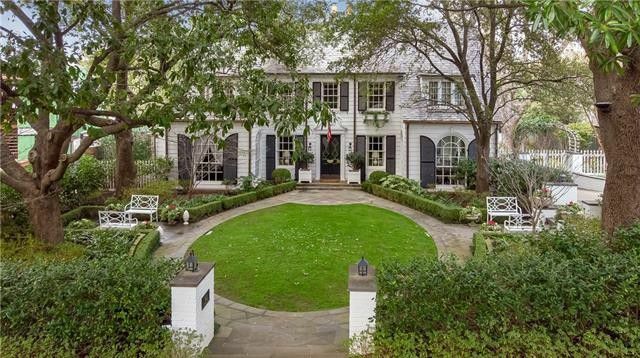 This beautiful Georgian mansion is not only a masterpiece of original design, but it has also had a series of owners that have kept it up to date over the years. There are those days when I scroll through listings, swoon, and think … if only. If only I’d seen this iconic Lakewood Spanish Eclectic Hutsell on day one. If only I had the means to make it my own. If only it had not blown off the market due to the incredible skills of Compass Real Estate’s talented listing agent, Nancy Johnson. 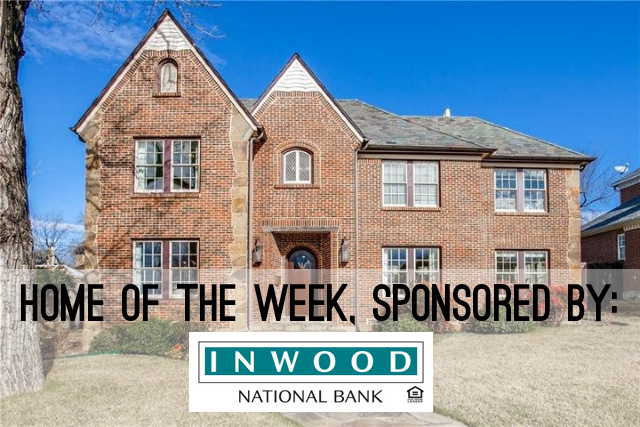 I knew the moment I spotted our Inwood Home of the Week, this gem would sell immediately. These iconic Lakewood Spanish Eclectic Hutsell properties don’t come along often. When they do, you hope and pray whoever made the purchase is worthy of the home. And I mean that. You do not, and I repeat DO NOT tear these homes down. Clifford Hutsell built homes for people that appreciated art, character, style, and quality. To own a Hutsell is to own a piece of Dallas history. It’s the antithesis of the white box. It’s eclectic. It’s cool, and these homes are meant to be owned by people that are equally eclectic and cool. 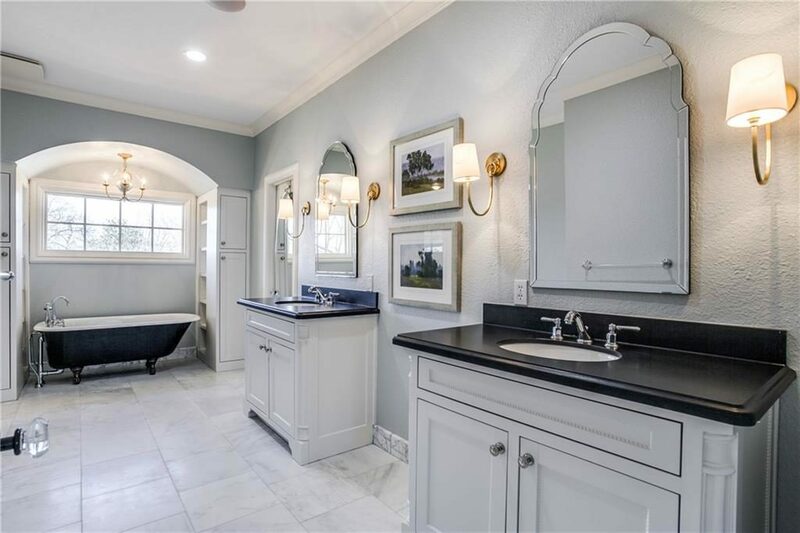 At the unbelievable price of $1.399 million, is it any wonder that at seven days on market, this Spanish Eclectic Hutsell at 7218 Lakewood Boulevard is already pending?